A taste of Europe in Sydney. The four owners are all from Czech Republic and they specialise in mid European fare from the Czech Republic, Austria, Germany and Sloviaka. Not only do they specialise in European food, they have a wide assortment of European beers and liquors. My dining partner included an Austrian, so we had a tough critic in the group. I can only say that when the starter course came out we were all delighted. We had the Entrée Plate ($27.90) Spinach & Cheese Pierogy with sauteed Onion, Chargrilled Garlic & Chilli King Prawns, Spicy Chorizo Sausage served with Toast. The chorizo in particular was very good and as I'm gluten free, our lovely waiter was very accommodating and brought out gluten free bread. Sadly, I couldn't eat the pierogies but Hans the Austrian gave them two thumbs up. Speaking of gluten free, I was very excited to see the GF symbol on many of the dishes. So this makes it very easy for people with gluten intolerance to figure out what they can eat. The waiters were incredibly friendly and helpful as they assisted me with GF options. Moving on to our main course, one of the highlights was a Czech Republic specialty, the Golden Roast Duck ($22.90) accompanied with red cabbage, sauerkraut, mix dumplings & gravy. The duck was tender and juicy and the cabbage and sauerkraut added a delicious tangy flavour to the mix. Yet, we were all in agreement that our favourite dish was the Juicy Pork Ribs ($34.90) - Full Rack glazed in House Made Honey & BBQ Sauce. I had never seen such a big plate of ribs in my life but they were mouthwateringly good. After eating such an incredible meal it was a real push to go for dessert but of course we had to. We opted for the Belgian Chocolate Mousse with hot raspberries ($12.90) which was a divine choice. We had schnapps with our dessert. I had never tried schnapps until Hans and his wife Sally introduced them to us. So tonight we finished the meal with Underberg, a German schnapps which Hans assured us would aid our digestion and bring good health to our stomachs. My favourite part of the schnapps experience was the incredible little truck they came in. I had never had any alcoholic beverage served to me in a mini truck, so that was quite the experience. This particular Schnapps had a liquorice medicinal flavour, but I can say I slept well and my digestion was excellent so I think it worked! 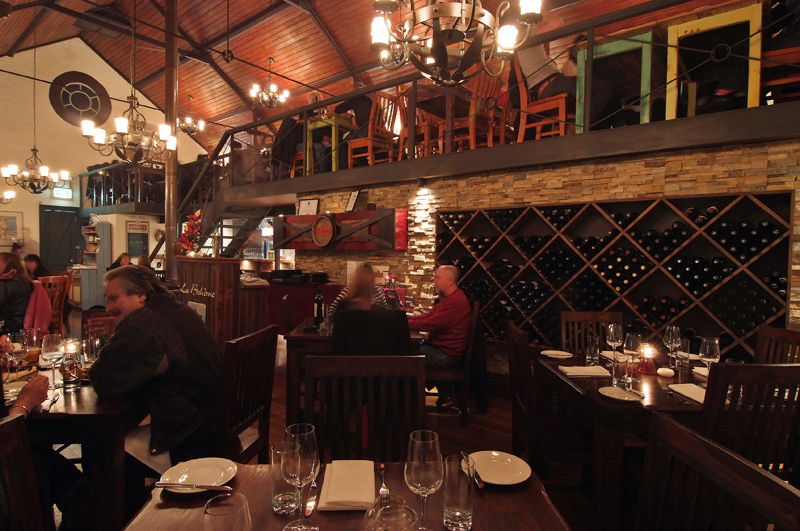 If you are looking for a relaxed evening out, delectable European fare, and excellent service look no further than La Boheme. You can't go wrong bringing friends and family here, it's a guaranteed good evening out.